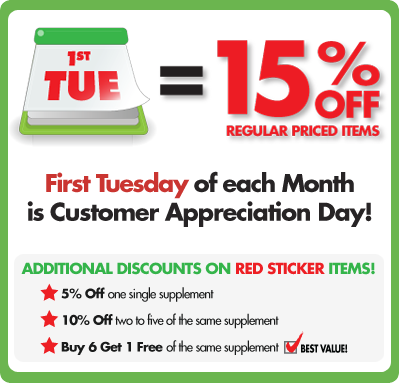 Customer Appreciation Day (CAD) is always the 1st Tuesday of every month! This means that Tuesday June 3rd, is your chance to save on EVERYTHING in the store! Vitamins, food, cosmetics; it ALL applies. Come into Alive Health Centre and Morning Sunfor details. 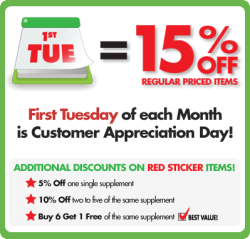 Today is Customer Appreciation Day Tuesday June 5th!